Tura Beach is located on the Sapphire Coast, a spectacular region of the NSW Far South Coast, and is only a 5 minute drive from Merimbula. The region enjoys a beautiful mild climate year round, with daytime temperatures similar to Sydney with less humidity and cooler nights. A mild sunny climate, superb golden beaches and crystal clear waters have won the Sapphire Coast a deserved reputation as a delightful holiday destination. The region offers a magnificent variety of natural attractions where you will find pristine beaches, estuaries, lakes, old growth forests, waterfalls, rivers, mountains, numerous state forests and national parks. At Beach House One you can be as busy or as lazy as you like. Whether your interests are outdoor activities such as surfing, fishing, boating, golf, bowls, tennis or simply basking in the sun or enjoying the local restaurants and cafes and clubs, you will be well catered for. 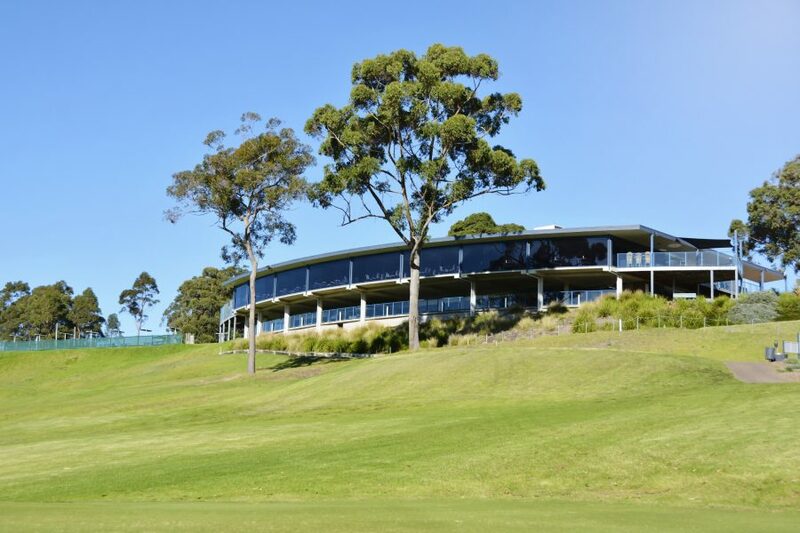 Beach House One is only a minutes stroll from Tura Beach Country Club golf course, a Peter Thompson designed championship course which is rated as one of the finest in NSW. 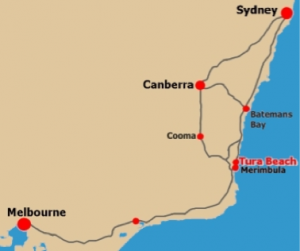 Other golf courses nearby include Pambula-Merimbula, Tathra, Bega and Bermagui.